The Black 'Chaplin' 3 button notch tuxedo coat by After Six brings classic style to life. Featuring a three button single-breasted front, satin notch lapels, a self top collar, and satin besom pockets. (31.5" length) It also has a non-vented back and is fashioned from Tropical Worsted Wool. 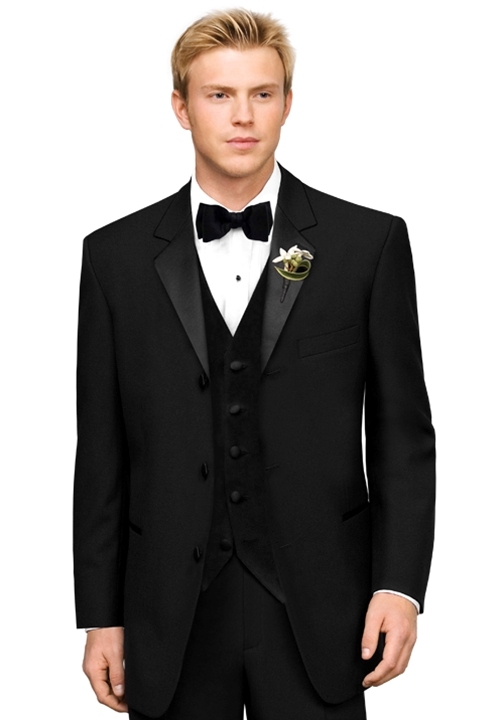 This tuxedo coat is perfect for your Prom, Wedding, or Black Tie Event!